I know that when I gobbled up cheap Elvis Costello records, back before I knew what I was getting, that a payoff would be inevitable. Today, I’m reaping the rewards of this legendary man’s artistic contribution to pop music, simply by knowing what I have. Get Happy!! 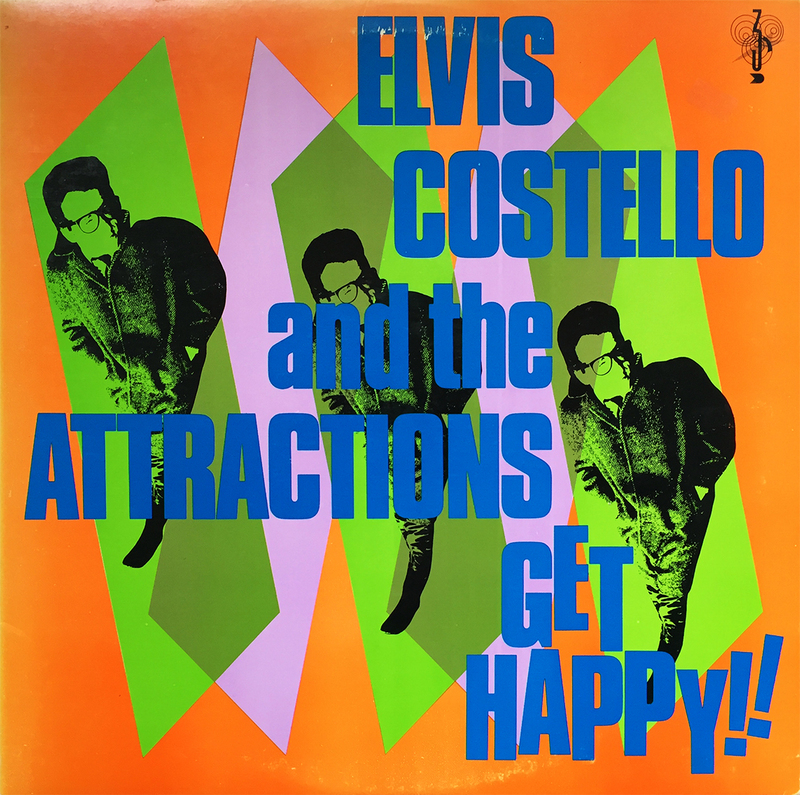 is the fourth studio album by Declan Patrick MacManus (Elvis Costello), and the third as Elvis Costello and the Attractions. Though frequent spins come more from Elvis’ debut album, 1977’s My Aim is True, Get Happy!! is a great addition to this, or any collection. The earlier the better with Costello and his mates, but something to get happy about nonetheless.